The penultimate training session of the week saw the return to the work of the seven remaining international players. 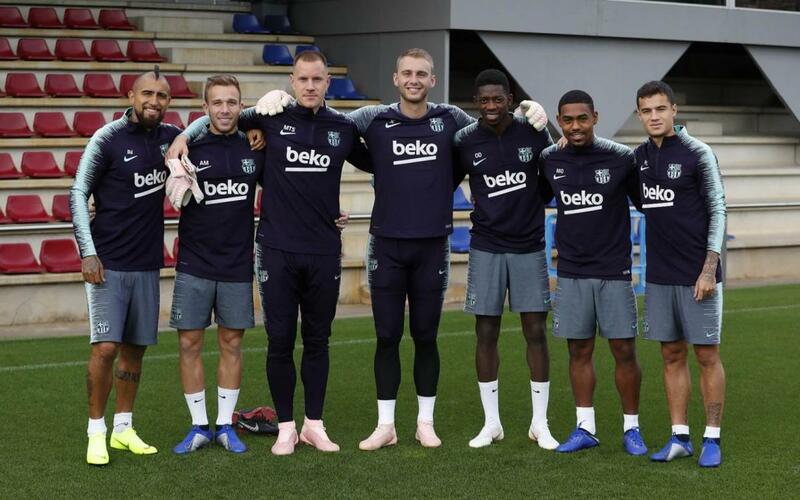 Ter Stegen, Cillessen, Coutinho, Arthur, O. Dembélé, Malcom and Vidal joined their teammates to prepare for the difficult match this Saturday against Sevilla FC. On Thursday, the first-team players and Chumi, Miranda, O. Busquets and Riqui Puig from Barça B trained on the Tito Vilanova pitch. The next and final training session of the week before receiving Sevilla FC (Saturday 8.45pm CET) will be on Friday at 6.00pm CET. Beforehand, at 5.00pm CET in the press room of the Ciutat Esportiva Joan Gamper, coach Ernesto Valverde will conduct at a press conference.